Honors Colleges are able to highlight and defend a student's worth to their institution. Housed within public universities, Honors Colleges offer a more affordable option than most private universities. Honors students experience the rigor, personalized experience, and more intimate feel of a private school with a smaller price tag. This is especially practical for students who hope to pursue graduate school. Value-added benefits provided to our Honors College students include mentorship from faculty members, access to summer enrichment grants, additional curricular and co-curricular programming, and more, all without any added costs. Unlike some universities, College of Charleston Honors College does not charge its students an "honors fee." 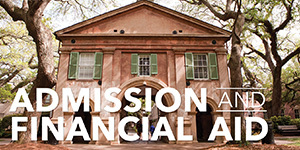 Additionally, with few exceptions, all CofC Honors students receive merit aid from the College. Visit our Scholarships page for more information. 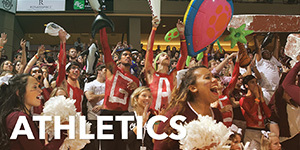 Honors Colleges are given resources to provide their students with the support of faculty and staff members that are devoted to the students they recruit. Honors Colleges often offer an additional level of advising, programming, and access to industry, professional, and/or academic mentors. At a large university, this level of support can be difficult to achieve. At a large university, students may feel like a face in the crowd or a number; in an Honors College, students are placed at the center of attention. 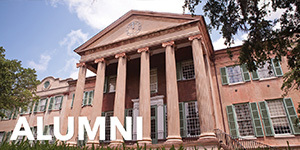 The College of Charleston Honors College provides each student with an additional Honors faculty advisor/mentor beyond their assigned major advisor. This Honors faculty member stays with the student for all four years at the College, getting to know them on academic, professional, and personal levels. The relationship spurs a breadth of opportunities from thoughtful letters of recommendation to industry introductions. Honors colleges typically offer smaller class sizes taught by outstanding faculty members; however, not all honors colleges are created equal. While at some universities Honors classes are simply "contract" classes (a normal class + additional work for Honors students), at the College of Charleston Honors College this is not the case. 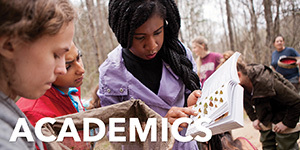 Most CofC Honors classes are capped at 19 students and are focused on providing high-impact experiential learning opportunities. Classes aren't simply a harder version of a standard class or more work; instead, they are a different class altogether. 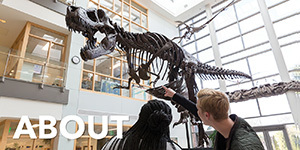 Everything current students need to access -- from crucial forms and campus resource information to mentorship and internship opportunities -- is posted on the Honors Hub. The Hub is updated often, and it is recommended that incoming students bookmark it as a reminder to check it frequently. 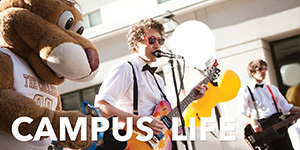 Many students have found their internships, volunteer placements, and more on the Hub. The Hub is a valuable resource to the Honors community and complements the guidance students receive from their faculty advisor. If you have a post that you feel may be appropriate for the Hub, feel free to submit it here. All attachments may be sent to our Associate Director of Strategic Initiatives and Communications, Chris Bailey (crbailey@cofc.edu). See you at the Hub!